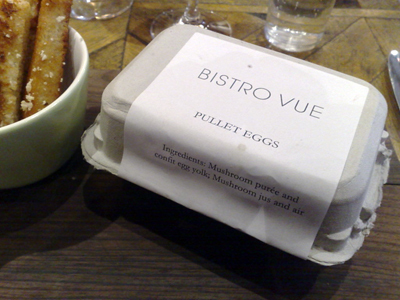 There's been some changes to the Bistro Vue menu - some dishes have gone, a moment silence to mourn the loss of the Pear Tarte Tatin for two but there are some new dishes on show. 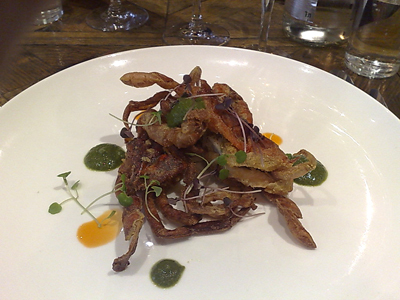 Soft Shell Crab with Sautéed crab, olive oil sauce - there are two crabs here that have been stuffed with extra crab meat. It's easily of the best soft shell crab dishes I've had. 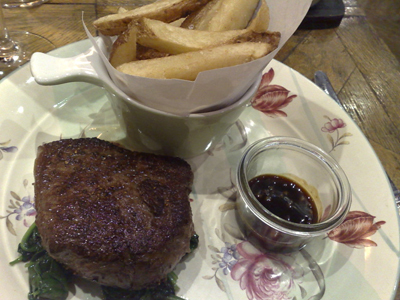 This is a dish we've both had in the past and it has undergone a radical change - it's now more Vue de Monde than Bistro Vue. 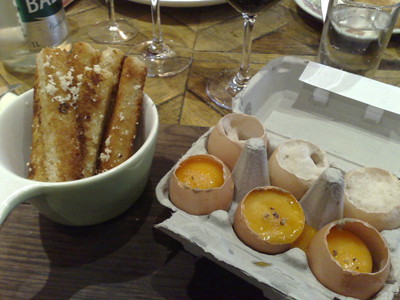 The egg carton is something that VDM uses for one of their desserts. In the eggs at the front - there is the mushroom purée underneath the two hour poached eggs. In the shells at the back there is a mushroom jus sitting under the mushroom air. Those thick fingers of toast work well to help soak up that luscious egg yolk. 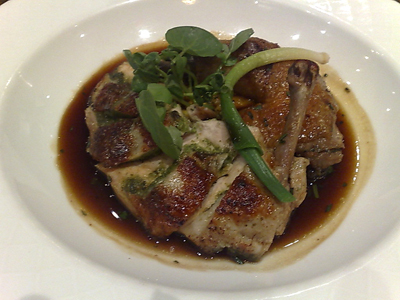 Poulet Rôti - a simple roast chicken, the breast has a herbed mix stuffed under the skin and it's served with a tasty jus. 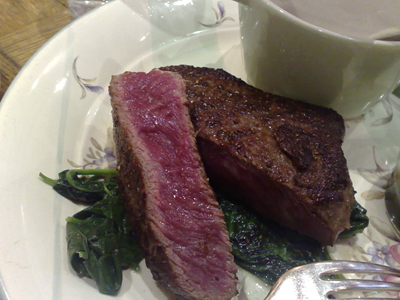 Cooked to perfection and ultra tender. 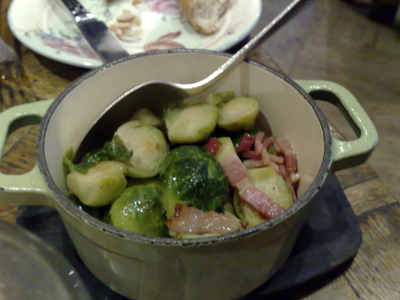 For sides, we order Roasted Brussels Sprouts with pancetta. 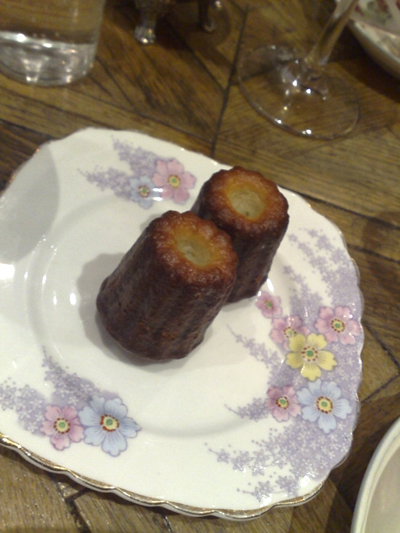 As much as the desserts looked appetising we just wouldn't be able to do them justice so we finished our meal with coffee and these Cannelés Bordelais.